When you are in a place where you need to contact a roofing contractor, you’ll have to make a choice about whether to replace your roof or re-roof. Yet that term isn’t used as much so many homeowners don’t realize it’s even an option. So, before you get started on your next roofing project, it’s a good time to learn more about what this option is. This approach will ensure that you make good choices as an informed homeowner and a savvy consumer. 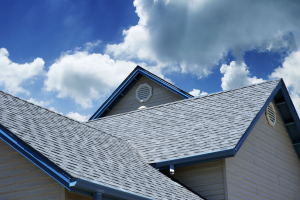 It’s a faster and less expensive alternative to total roof replacement, but is it right for you? This process is when new shingles are layered over the existing shingles. It can only be done once but if you haven’t already ready done this to your roof, it could be a viable option for you. Keep in mind, not every rooftop is a good candidate for re-roofing. The condition obviously has to be up to par in order to simply slap new shingles on top of the ones already in place. Your roof itself has to be structurally sound and not in need of repair. As previously mentioned, it’s also only possible to re-roof if the process hasn’t already been done to your current rooftop. Is your roof a good candidate? Typically, a roof that is getting close to the end of its life cycle but is still in good shape would be ideal. If it needs minor repairs first, that’s doable. Any existing major issues would probably make your roof a better candidate for total replacement. Part of the problem is that problems can exist that no one knows about that is usually discovered while tearing off old shingles during a roof replacement. Re-roofing can be a bit of a gamble. 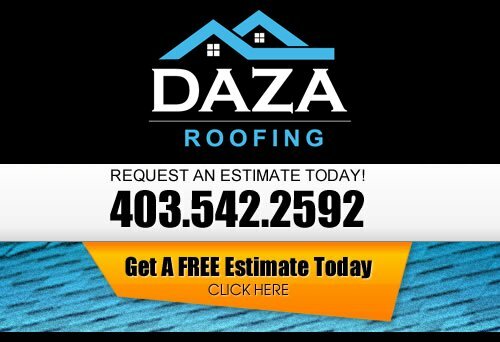 You can count on Daza Roofing to provide you with the Calgary roofing company service you need and the level of quality you deserve. If you are looking for Roof Replacement from a professional Calgary roofing company, then please call us today at 403-542-2592 or complete our online request form for a free estimate.